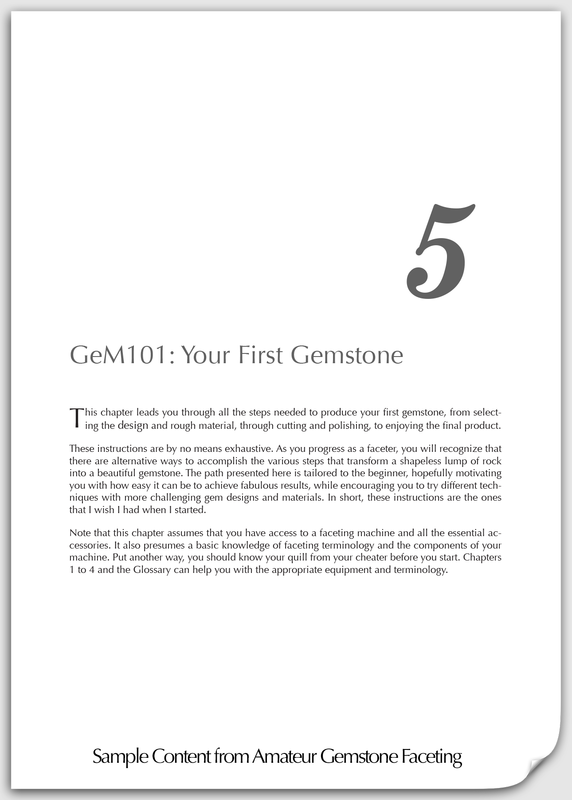 This page tries to give you an impression of the content of Amateur Gemstone Faceting. 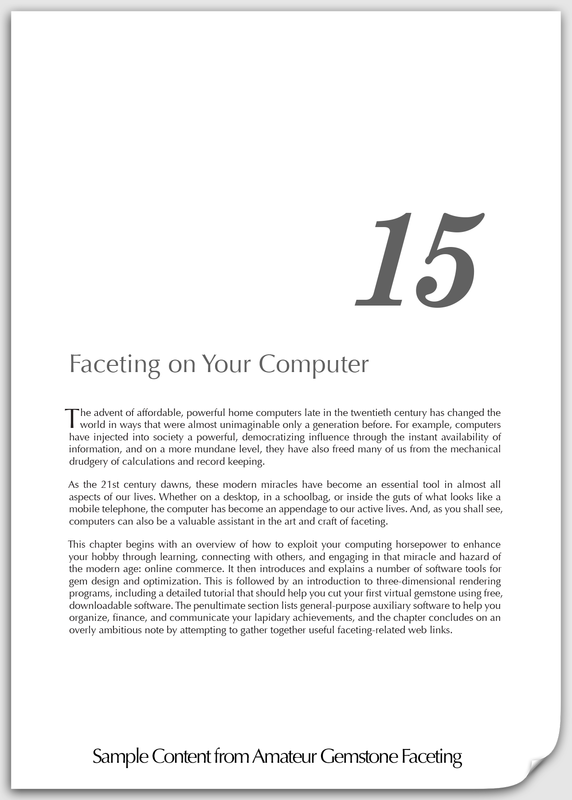 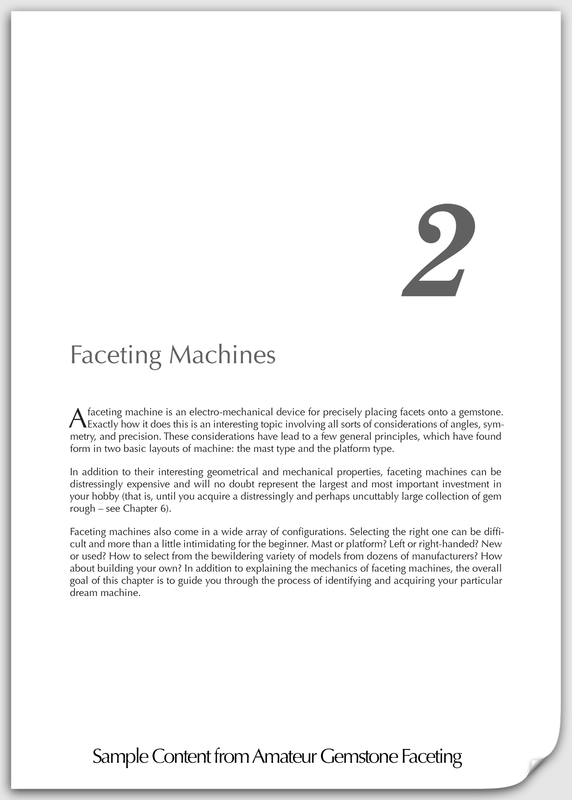 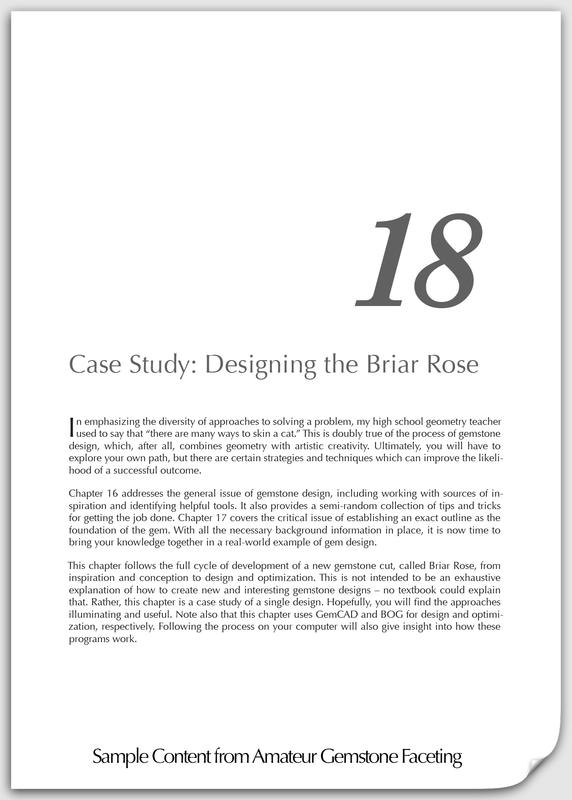 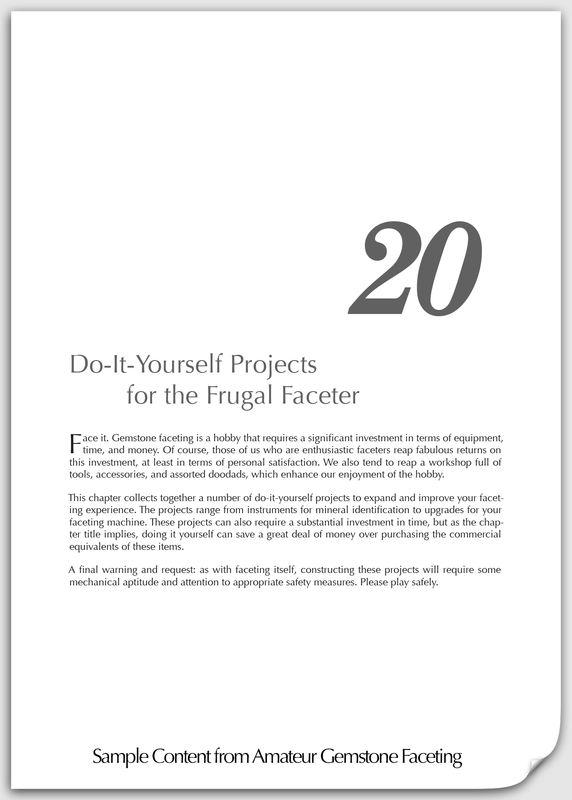 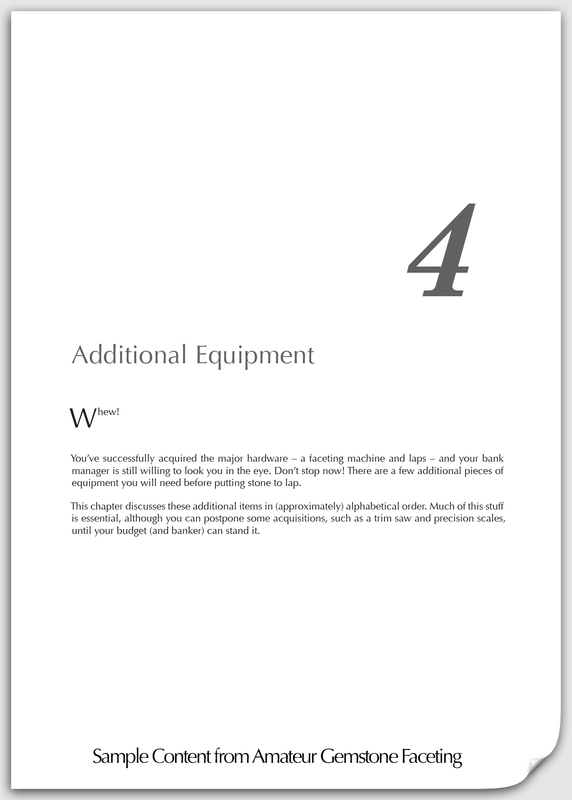 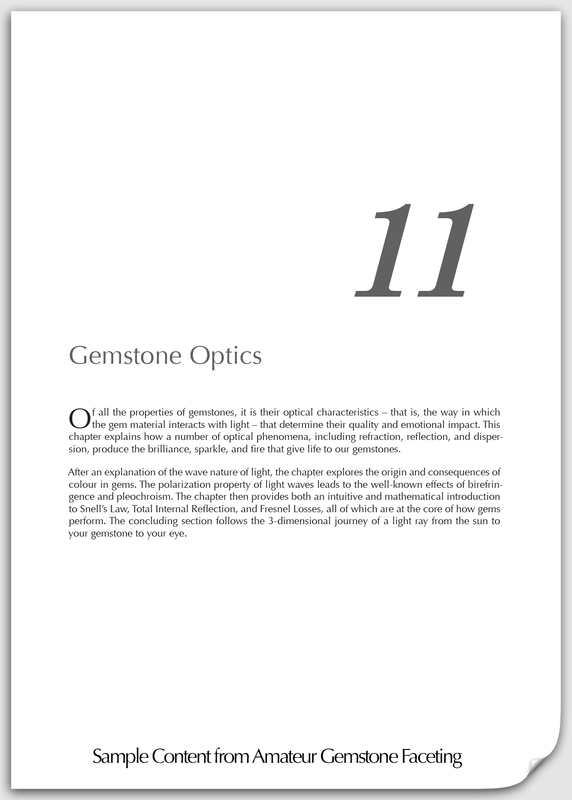 Click on the links below to see sample text and figures, as well as the title page of each of the 20 chapters in the book. 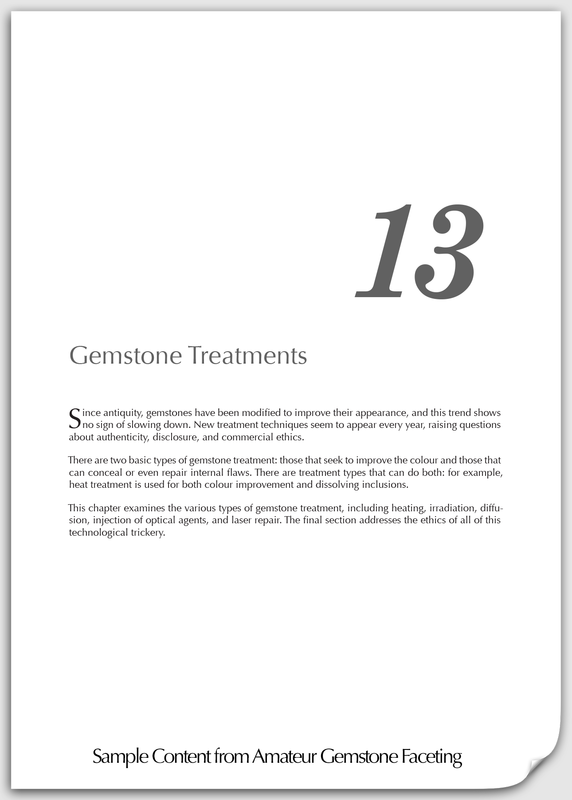 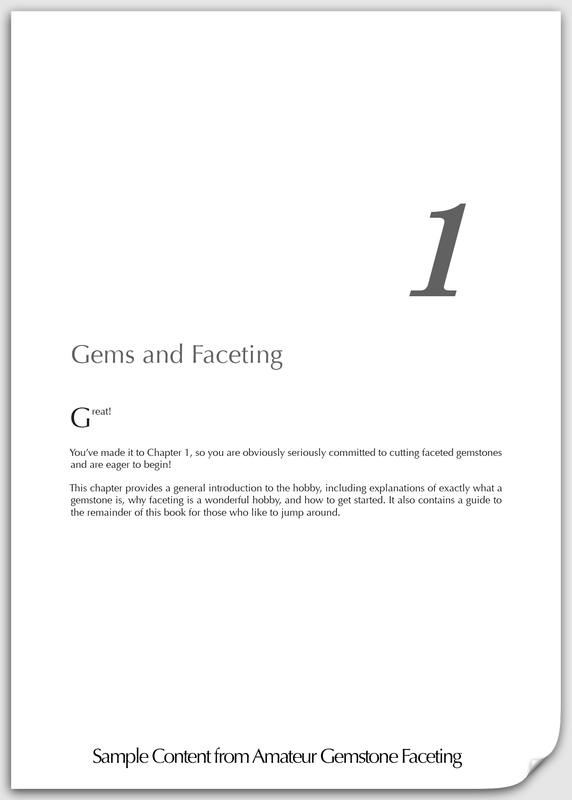 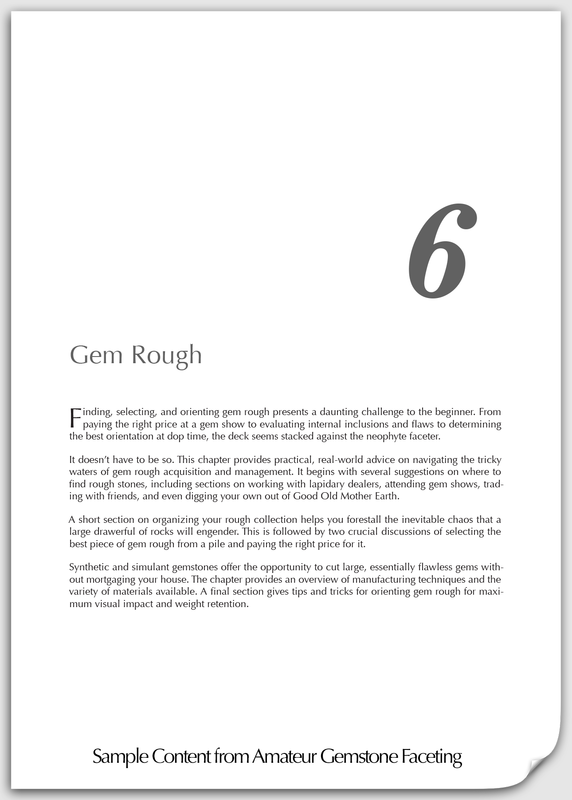 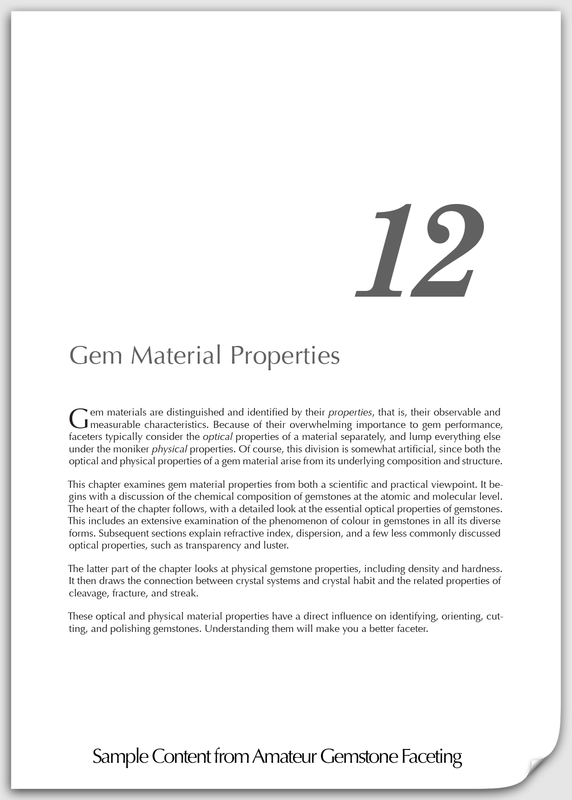 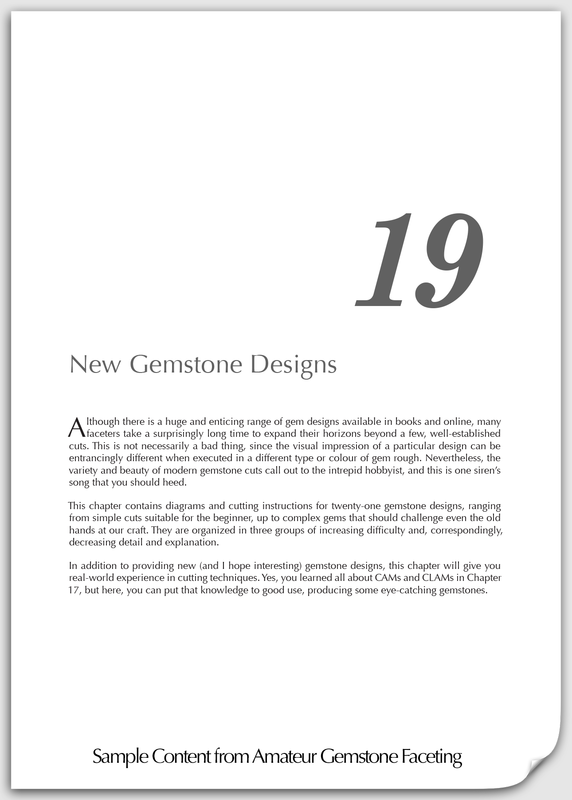 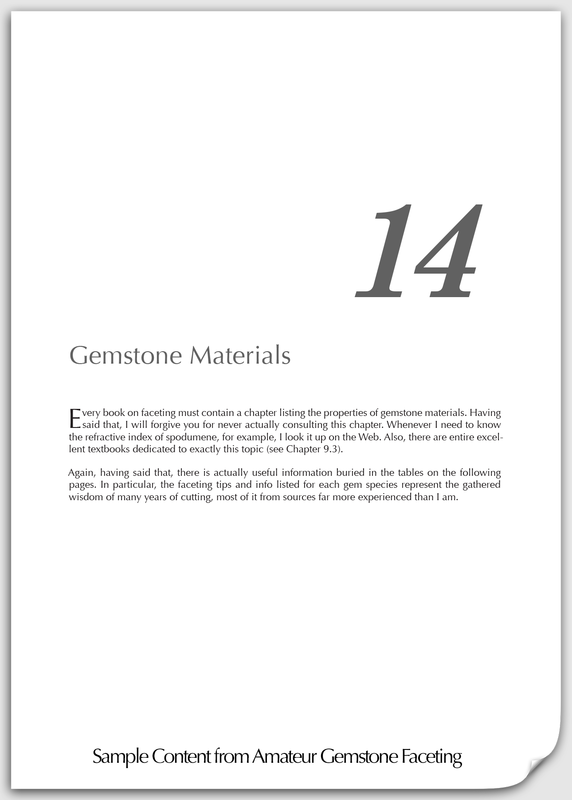 Other pages on this site, in particular the chapter-by-chapter summaries of Volume 1 and Volume 2, will also convey a sense of the breadth and scope of Amateur Gemstone Faceting. 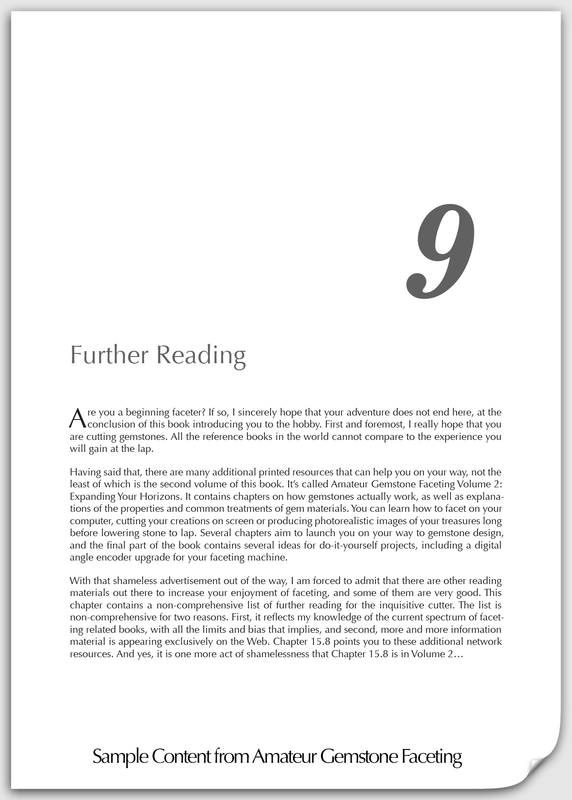 NOTE: To conserve bandwidth and reduce download times, the following samples contain reduced resolution images and fonts. 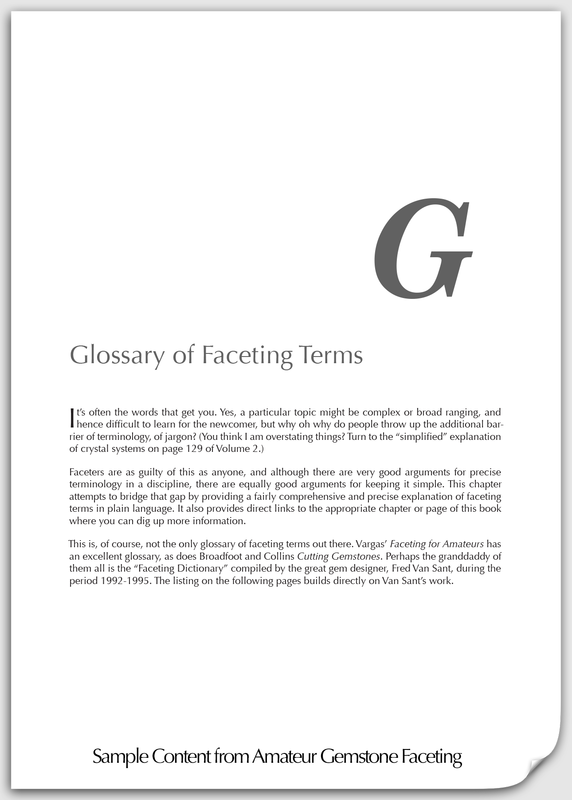 The print version includes only high quality, 300 dot-per-inch reproductions.